Diplomats are checking on them. 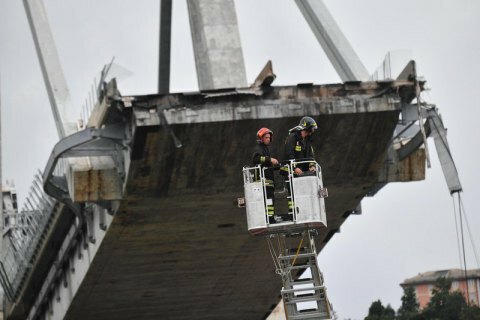 None of Ukrainians was killed in the Genoa motorway bridge collapse but two were hurt and had to be taken to hospital, LB.ua has learnt from diplomatic sources. Ukraine's ambassador to Italy, Yevhen Perelyhin, confirmed to LB.ua that there were no fatalities. Ukraine's Foreign Ministry called on Ukrainians in the area to contact their families. The 90-metre-high motorway bridge built in 1967 collapsed on 15 August sending down around 30 passenger cars and three lorries. Over 30 fatalities and multiple wounded victims have been reported. The causes of the collapse are being investigated.